What is the one thing that could turn the lights off in New York City? World War II proved itself to be the force strong enough to put the city that never sleeps to bed. In the wake of the Great Depression that rocked not only the nation but the rest of the world, the United States was once again thrust into the middle of an international conflict. Proving itself to be increasingly supportive of the Allied Powers despite claims of neutrality, the United States officially entered the war after the fateful attack on Pearl Harbor. After declaring war on Japan and Germany in December of 1942, protective measures were implemented throughout the country to counter the threat of Axis Powers. 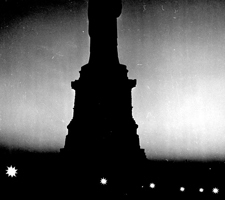 One such measure, the New York City Dim Out, was a testament to the solidarity of the citizens as they heeded the orders of Police Commissioner Lewis J. Valentine. 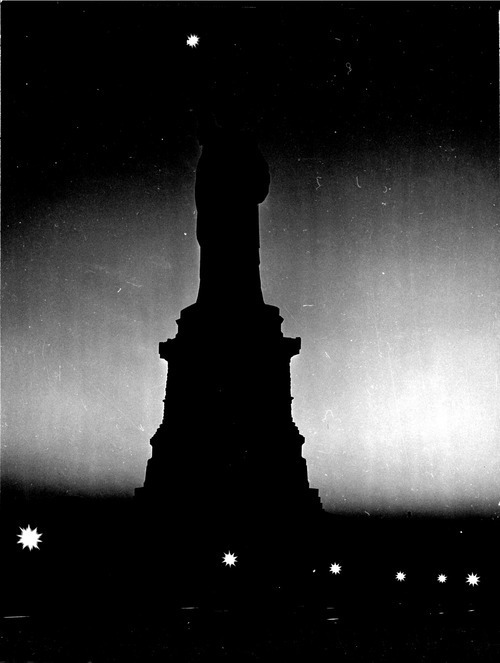 With city attractions like Coney Island, the Empire State Building, and the Statue of Liberty forced to dim their lights, the city’s atmosphere took on a somber feel. Although the threat of attack was a constant presence, the war benefitted the city in the sense that the usually fast-paced and jaded society banded together in the face of a common enemy. Welcome Summer 2013 Student Historians!